Learning that the roots of the Christian faith are Hebraic has opened up a whole new understanding. Understanding that continues to blossom and bloom into the most gorgeous flower full of fragrance, color and beauty. Not only something to believe, but something to do. Deu 6:5 And you shall love Jehovah your God with all your heart, and with all your soul, and with all your might. Deu 6:6 And these Words which I am commanding you today shall be on your heart. A primitive root; to hear intelligently (often with implication of attention, obedience, etc. ; causatively to tell, etc. ): – X attentively, call (gather) together, X carefully, X certainly, consent, consider, be content, declare, X diligently, discern, give ear, (cause to, let, make to) hear (-ken, tell), X indeed, listen, make (a) noise, (be) obedient, obey, perceive, (make a) proclaim (-ation), publish, regard, report, shew (forth), (make a) sound, X surely, tell, understand, whosoever [heareth], witness. If we synthesize that definition to a basic understanding, Shema means to HEAR AND OBEY…not one or the other…Both. Every Mom and Dad understands this concept when their child neglects to follow an instruction made to them. “Didn’t you ‘hear’ what I said?” The smart-Alec response might be, “Sure, I heard you.” But, the lack of action prompted the question from the parent. Hearing an instruction requires that the instruction is carried out or it is obvious that the child did not ‘hear.’ Or certainly, did not take it seriously. So, the most important instruction we received from the Father is to HEAR and OBEY: Shema! So, how do we ‘obey’ the instruction that the LORD is One? Many take this to mean that the Father is a ‘unity’ or ‘three-in-one’ to bolster their doctrine of the Creator being a ‘trinity.’ But, that doesn’t really satisfy what ‘echad’ means. ‘Properly united, that is one’ doesn’t suggest a trinity unless an agenda or pre-conceived notion is imposed on the definition. Properly united (i.e. one), would suggest a completeness. Nothing to add or subtract. That understanding would fit with the synonyms in the above definition. Alone, Once, Only, pre-eminent (as an ordinal: first). Yeshua prayed for his disciples to be (echad) One with the Father the same way He was One with YHVH. There is so much we don’t understand about being ‘One’ or Echad. I hope the following excerpt from an article will bless you. 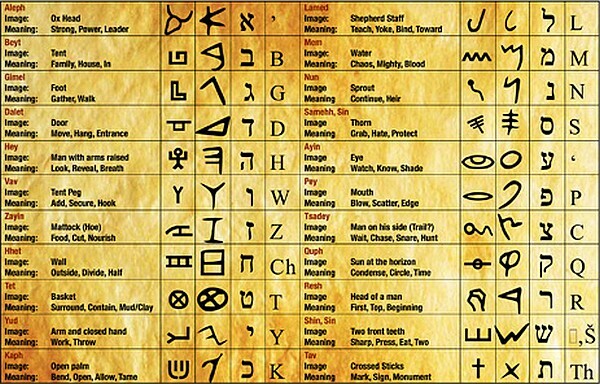 In Paleolithic-Hebrew the letters aleph-chet-dalet are what make up the Hebrew word echad. The Hebrew letter aleph is shown as the head of an ox and chet-dalet is a door in the fence to enter into covenant with Him. Aleph represents a fullness of strength and power. 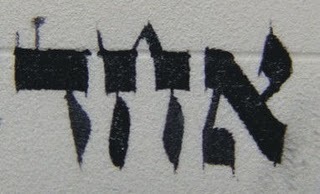 So, when this word, echad, was originally used it would have been defined as “the strength of someone coming into covenant”. That gives a lot of information to chew on! This really gets interesting if we look at the Hebrew word Echad and parse out the letters that form it! To recap, ECHAD in Hebrew is spelled Aleph, Chet, Dalet. Dalet: is the Door (often used to describe Yeshua/the Messiah). Not only that, we could look at it as an instruction to Do. Just as the excerpt above considers being echad as ‘a path for coming into YHVH’s presence.’ Doesn’t that sound like ‘the way?’ Doesn’t that clarify what the strength of the covenant is? Echad! To paraphrase a movie quote to refer to Yeshua and his disciples: The Covenant is Strong with this one! No one was more obedient to the Father than Yeshua! Our model for how we are to be Echad! Might I suggest the following? The Father, provides us the Torah which leads us to the Messiah which is the doorway to eternal life. Does that make it easier to follow the logic that Echad is describing The Way! So, not only is YHVH telling us that He is One, he is telling us what being ‘One’ with him entails! It is more than just an idea! It is an instruction!